Right superficial parotid gland lump. 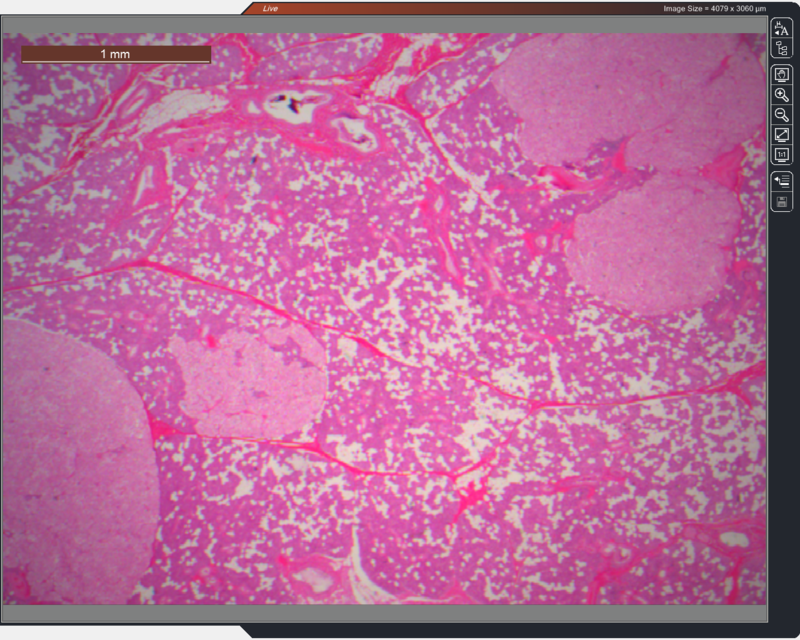 Likely PSA - surgical specimen - Histology. 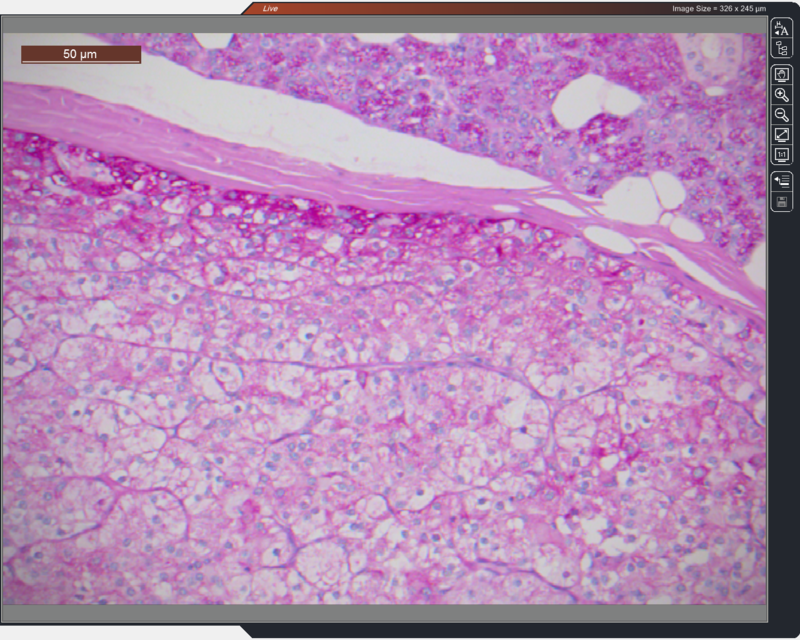 Firm salivary gland tissue measuring 35 x 25 x up to 15mm. It has one smooth and one irregular surface. The outside is inked blue. On section three pale nodules each approximately 5mm in diameter are present within the tissue. Dissected by MEFS. 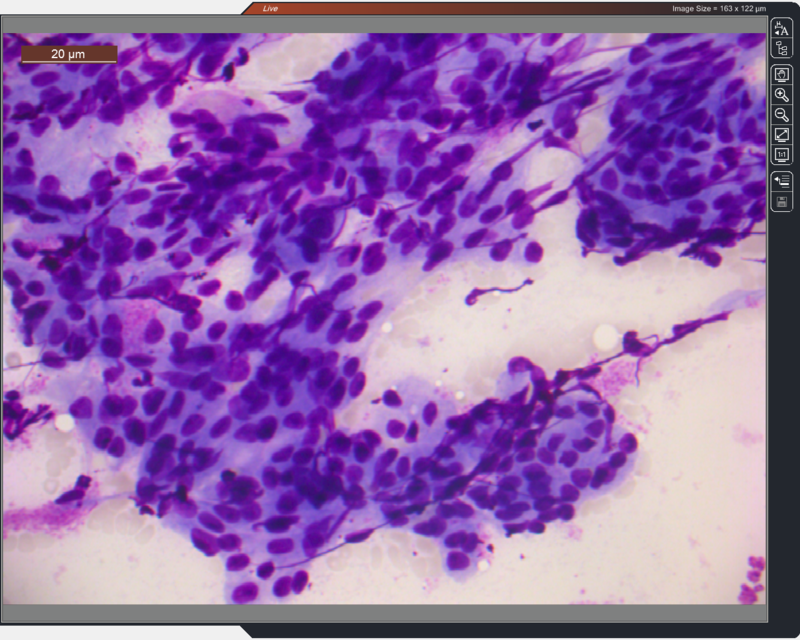 Sections of superficial parotid containing multiple well-circumscribed non-encapsulated nodules of epithelioid cells arranged in lobules separated by delicate fibrous septa and vasculature. The nodules vary in size between less than 1 and 8 mm. 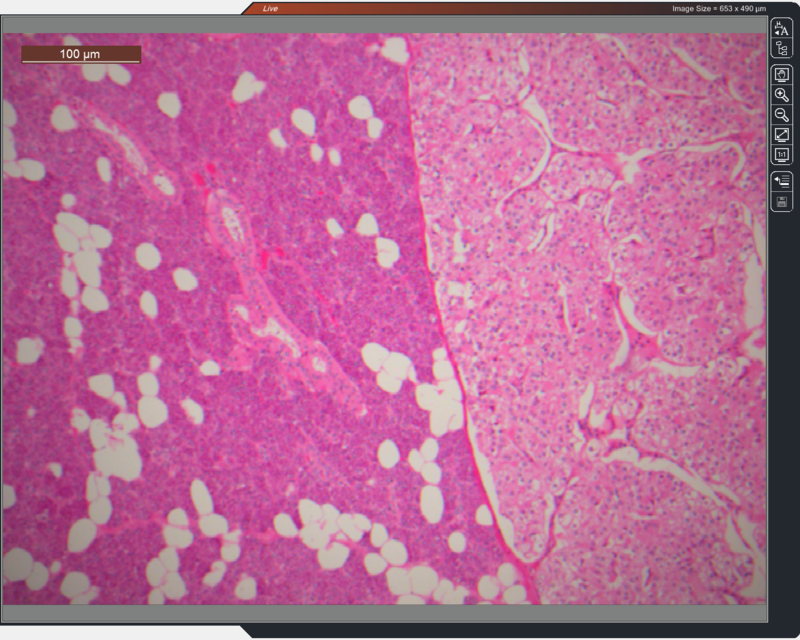 Most of the cells contain abundant eosinophilic granular cytoplasm, and others have a more “clear cell” appearance. 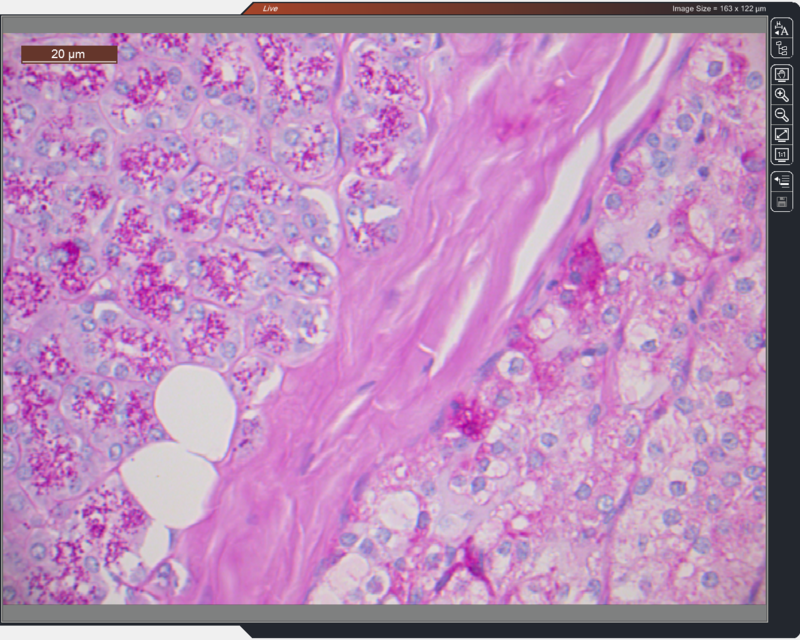 Very scanty PAS positive cytoplasmic granules are present at the periphery of some of the larger nodules. The nuclei are uniform and round to oval with delicate nucleoli, the latter only visible on high power examination. Mitotic figures are not conspicuous. Immunohistochemistry reveals patchy immunopositivity for EMA, CAM 5.2 and CK7. CD10, CD15, vimentin, CD117, RCC antigen, chromogranin, synaptophysin and CD 56 are negative. The proliferation marker MIB1 labels only occasional cells. 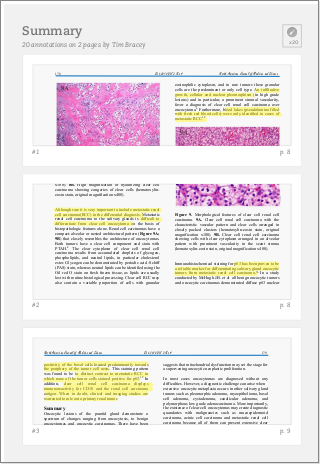 The features are consistent with benign multifocal nodular oncocytic hyperplasia (oncocytosis). This condition is usually described in older individuals and oncocytic metaplasia in general is considered a normal feature of age-related change in the parotid gland. I note the family history of breast cancer. Certain genetic conditions, such as Cowden's disease, which shows an abnormality in the PTEN gene, confers abnormality in mitochondrial function, and predisposition to certain oncocytic neoplasms. It would therefore be pertinent to be referred for genetic counselling if there are other clinical features raising the possibility of inherited syndromes. Yet another interesting one I've just received. Lady in her early 50s with family hx of breast cancer and clearly very anxious. 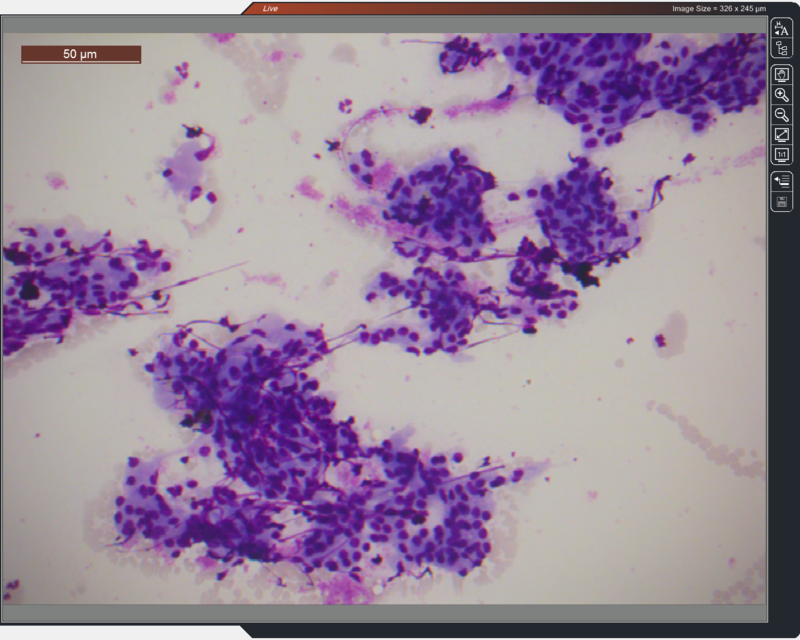 Repeated FNA of tiny superficial parotid lesions one of which I have raised possibility of oncocytoma or warthin and recommended excision (i was slightly anxious it might be acinic cell). 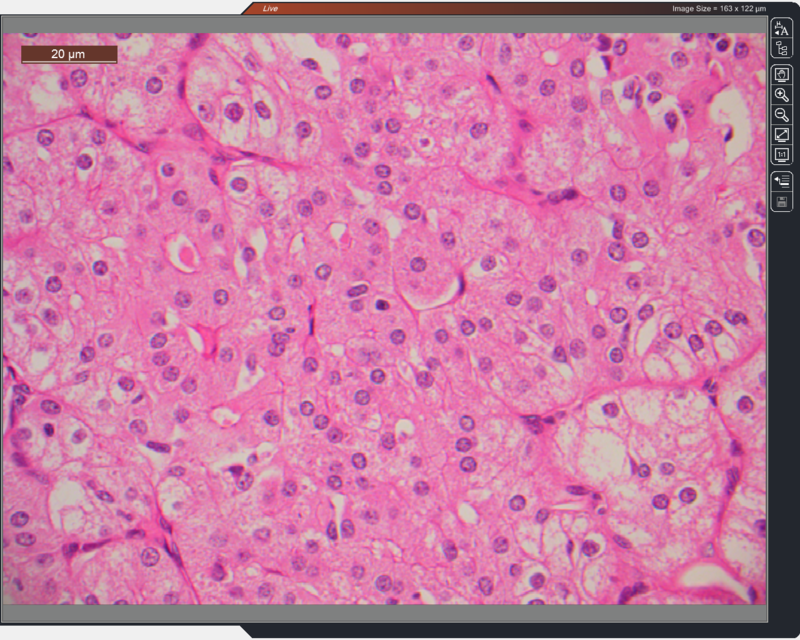 Just received the specimen and it looks like multifocal tiny oncocytomas or perhaps best described as oncocytosis, some with clear cell appearance. Someone has previously raised Cowden's disease with this patient and her family history. Have you heard of any association along these lines? Sounds possibly like MNOH (multifocal nodular oncocytic hyperplasia). I am not aware of a direct association but have seen odd salivary gland pathology (ie multiple cystadenomas) in a background of Cowdens. A brief scan of the literature suggests a possible link with oncocytic lesions/ tumours at other sites and I think that the PTEN gene is in some way linked to mitochondrial signalling so I guess that there could be a potential association (in theory).